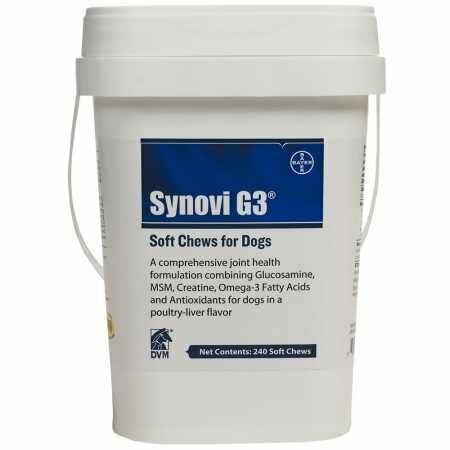 Synovi G3 Small Bites For Small Dogs - 120/bottle are a nutritional supplement offering chondroprotective agents, natural anti-inflammatories and powerful antioxidants in a moist, tasty, easy-to-chew treat for enhanced client compliance. 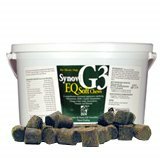 SynoviG3 EQ is a comprehensive equine nutritional supplement for optimal joint health. Stimulates the synovial fluid synthesis and the production of essential connective tissues. 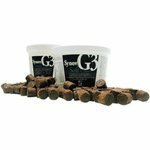 Helps extend peak performance during high intensity exercise. Relieves pain and stiffness, reduces swelling and inflammation. 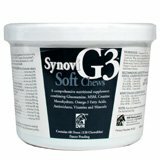 Active Ingredient(s): A full strength nutritional supplement formulated with Glucosamine HCl, MSM, Creatine monohydrate, Omega-3 fatty acids, vitamins and minerals in a palatable soft chew treat for horses. 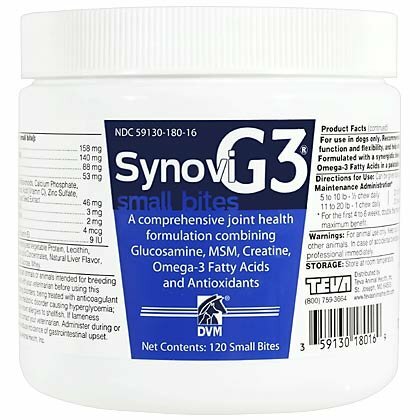 A comprehensive joint health formulation combining Glucosamine, MSM, Creatine, Omega-3Fatty Acids and Antioxidants. 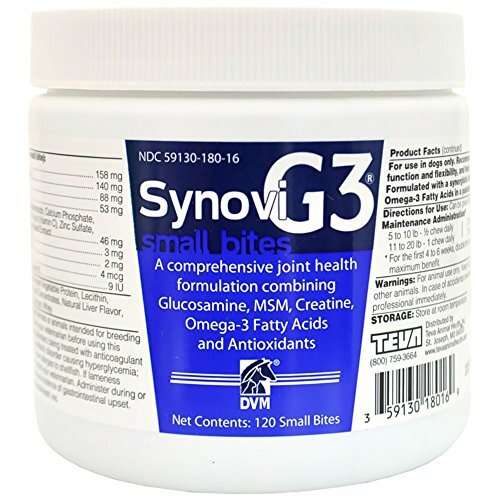 Recommended to support joint function and flexibility, and help strengthen joint cartilage. 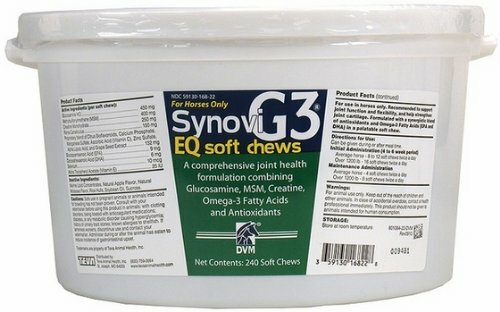 Formulated with a synergistic blend of antioxidants and Omega-3 Fatty Acids in a palatable soft chew.